This post was first published by The Croydonist on 04/04/2019. Tigers caught in Croydon? Ridiculous you may say, but Tiger Mimic have been spotted roaming around Croydon. Established in the States, they are an indie/rock band with a unique, groovy style. Officially formed here in London, they will be performing at Cro Cro Land, Croydon’s very own indie festival located here, in the diversity hub of the south. Tiger Mimic formed in 2018 and released their first EP ‘Elephant Skeleton’ in January 2019: They worked with Grammy award winning producer, Matt Lawrence, who has worked with the likes of Adele and Mumford & Sons. He absolutely loved their music and wanted to jump on board the EP production. He was a big influence with the music the band are creating today and the advice he has given them has really helped make their craft even better. They mainly developed the EP in Matt’s studio and today their close partnership has turned into an exchange of cute cat pictures! 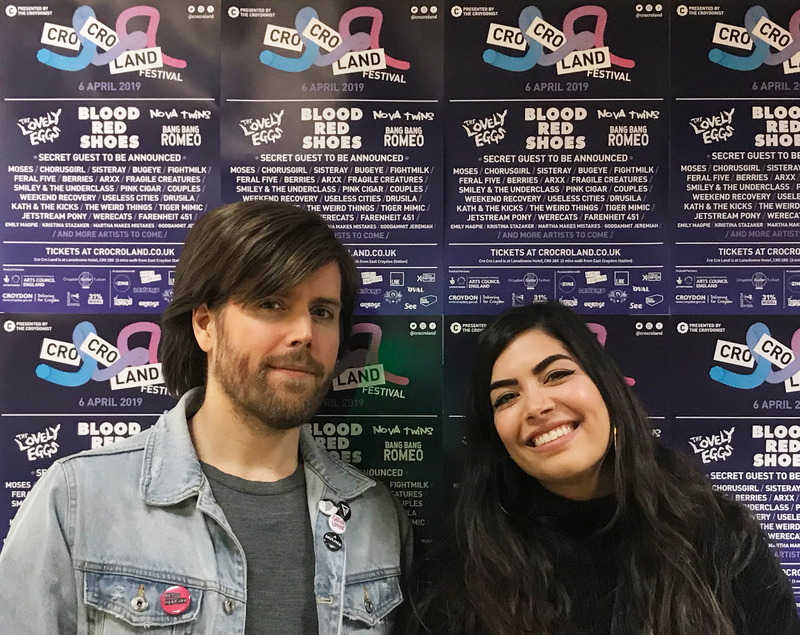 To be able to perform at Cro Cro Land (their first festival) is an absolute honour for the band and they are so excited to get on stage and play their music and discover new artists. They are definitely worth seeing, as not only are they playing the songs from their recent EP, they will be playing a new song for the first time on stage, which has so many changes throughout and is very adventurous. So you should all be looking forward to that, in addition to performances from the likes of Blood Red Shoes and Bang Bang Romeo. The band’s lead singer and synth player, Jess Rhodes, was raised in a supportive household with a Kurdish background that was filled to the brim with music. This heavily impacted her passion for the arts and music, enabling her to find the drive to pursue her career in music. Jess was classically trained and studied opera in Italy, so it was quite the change to the rock music she creates with the band today. Guitarist Bram Johnson, who also contributes to vocals, found his dad’s distinctive guitar playing extremely influential for his love for music. He especially remembers when he would go to yard sales with his father in the countryside where he grew up and his father would ‘pick up any instrument and start jamming.’ Bram’s favourite band when growing up was 60’s rock band The Doors. They influenced him as they mixed their musical backgrounds together. Similarly, Tiger Mimic have combined various genres to create their own hybrid genre of rock as they still find it very difficult to categorise themselves with a specific label. They also wanted the individuality of the band members represented and reciprocated within their combined genre. Jess’ favourite song ‘I Took Off My Body’ was developed a week before the recording of the EP. Although they already knew the songs they were going to record, Bram had an acoustic/blues guitar part at hand when they were trying to come up with another part of a different song. He played the section and Jess fell in love with it straight away and lyrics just floated in her brain. Despite Bram’s worry of creating a new song in four days they went ahead with it and could not be happier with the result. They described the song as rather ‘weird’ as they wanted to catch people’s attention to intrigue them about their music. The band absolutely loves the venues in Camden that are known for their hipster and trendy style, especially The Monarch, as the vibe and high energy environment really adds to their performance. Jess even said that ‘you can go there on a monday or a thursday and the buzz will be the same.’ Although the band’s music has a sinister edge to the sound their aim is to give their audience a place where they can forget about their worries and dance whilst having a great time! Tiger Mimic are so looking forward to the festival and hope to see you at there at Cro Cro Land this weekend along with a range of other indie artists. In the meantime, you can find their EP “Elephant Skeleton,” on Apple Music, Spotify and SoundCloud. 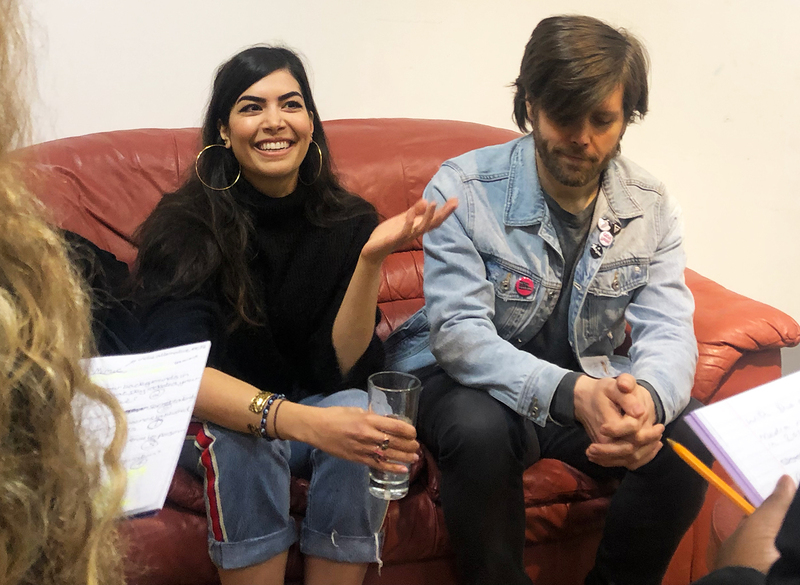 Tiger Mimic were interviewed on our Cro Cro Land music mentoring day this week by our writers Rhiannon and Solomon who formed our journalism and blogging team, under the mentorship of Caffy St Luce from The Zine UK. Photos and imagery by Anne-Marie Archie and Kamile who formed our branding and design team, under the mentorship of Julia from the Croydonist/31% Wool. We’d also like to thank our other teams: Boo Leetham and Megan who were learning about music PR and music management with Rachel White from Brick London and Angela from the Croydonist/31% Wool; and Ryan and Benjamin who were learning about music reviewing with Mari Lane from Get In Her Ears. 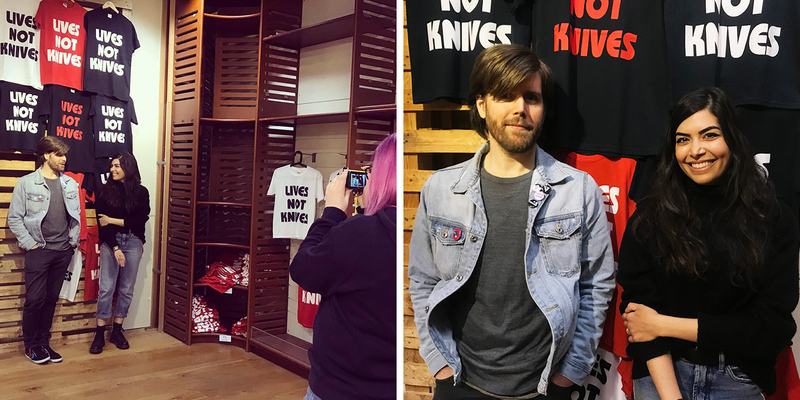 Big shout out goes to the Lives Not Knives team for hosting and of course Tiger Mimic for being caught in Croydon for an interview. Catch them again at Cro Cro Land on the Town Square stage at 2pm this Saturday – last few tickets here.